This post is made possible thanks to DISH. While this was a sponsored opportunity, all content and opinions expressed here are my own. I recently got home from a 2-week camping trip with my family – the wife and my two young boys – and the one thing that made the downtime better, even with the bad weather we caught at the beginning of our trip, was being able to kick back and catch up on our favourite TV shows anywhere. Now I’m the first to say I don’t want my kids sitting in front of the TV for hours on end. But I’m quite happy for them to be entertained when I need a break and they also complement their couch time with outdoor play time. On this trip, I was impressed with the neat features of the DISH Anywhere and Hopper GO DVR. Most importantly, the boys had a real blast, and they could finally watch their favourite Netflix shows and cartoons on the go without a problem. Oh, and we had a brilliant time camping too. Although driving 200 miles to the camp site and back was a real pain, listening to some of our favourite shows in the car (with the boys watching in the backseat) made things a lot easier. I was pleasantly surprised from the start by how well the new DVR worked along with the DISH Anywhere service. 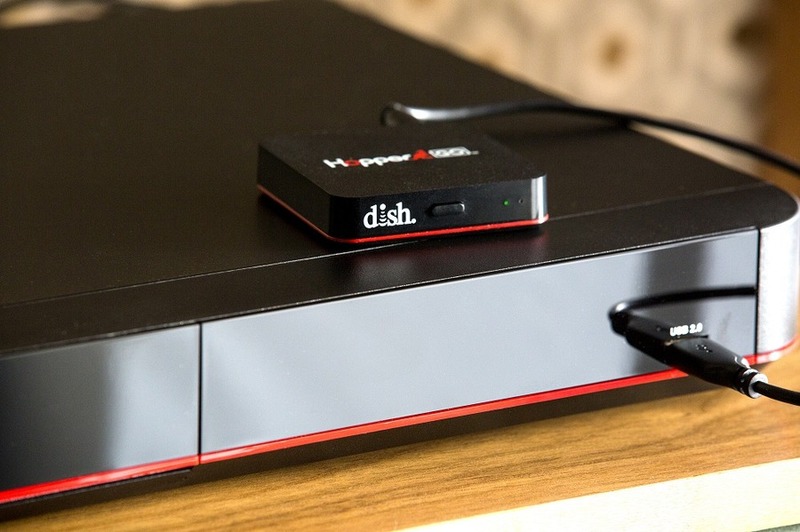 DISH Anywhere is an online service that allows DISH customers to log in and watch their favourite shows free of charge. You can get anything from TNT to HBO – we also got a few premium channels we subscribed to at home – and even watched on mobile devices with the Hopper Go DVR. The latter was one of the features our boys loved the most, since they could watch their shows on the tablet and laptop. 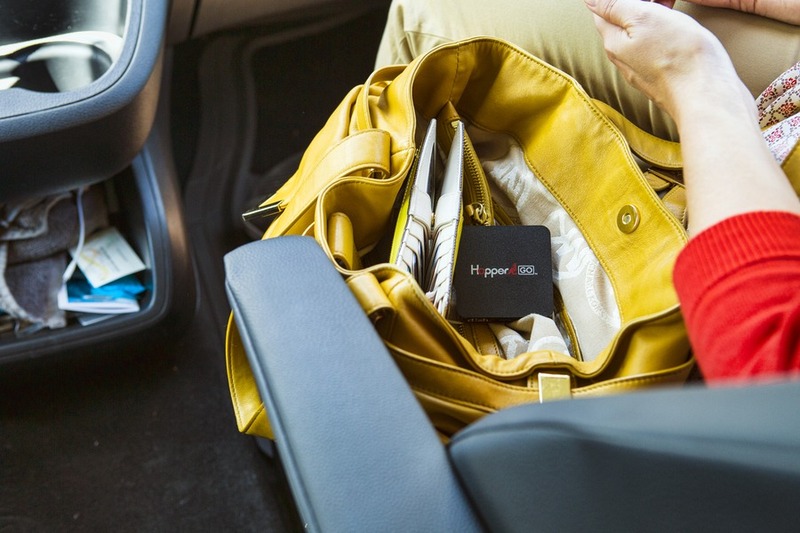 The Hopper GO portable DVR also made our trip a lot easier. With a huge amount of storage for offline viewing and pretty fast performance, I was impressed how easily it was to watch our regular shows even in the most remote areas during our camping vacation. There’s also the Hopper 3 DVR device, which continues in DISH’s reputation for offering reliable over-the-air TV. Set up at home, our Hopper 3 has a bunch of great features, including the ability to record 16 shows at once. In a family of 4, that advantage and the speedy performance are a real godsend. Before DISH, going camping used to be challenging for my boys. They had a hard time accessing any of their favourite shows on Netflix, and the internet connection offered by our previous satellite internet provider was awful. Needless to say, last year I knew a change had to be made. Fortunately, DISH Anywhere and Hopper GO became the answer to all our problems. This year, with Hopper GO and DISH Anywhere everything seemed to change. From the start, Hopper’s fast new 1.3Ghz processor seemed to be working like clockwork. There were no delays in accessing the DISH account, and the signal was great too. 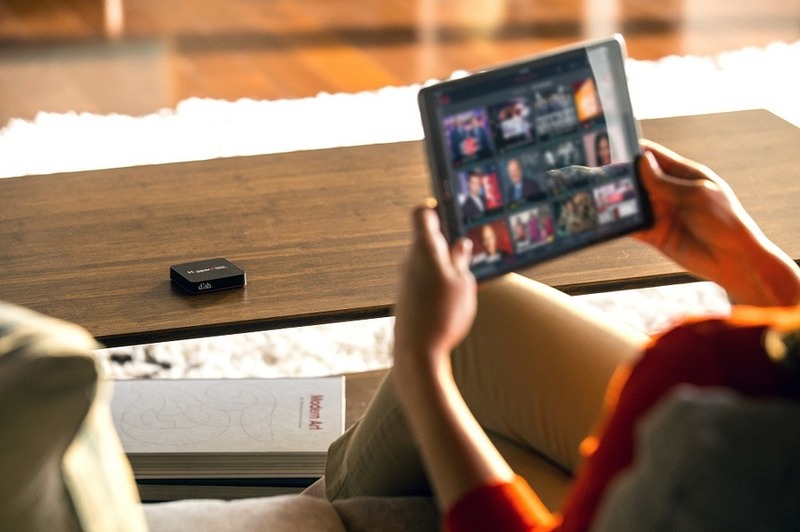 DISH Anywhere was really easy to use, allowing us to set up all our favourite shows to run on the tablet and laptop. For once, there were no more quarrels and snappy remarks between my two boys, as they each had their own device available to watch their favourite shows – either live or recorded. Recording shows was also a piece of cake. Even though Hopper GO is a portable DVR, its 64 GB of storage was more than a match for my boys’ keen interest in recording the 7-8 different shows they wanted to watch in the evening, after busy days spent doing sports and hiking. Even my wife downloaded a couple of her regular soap operas, as she wanted to keep up to date with the action. Probably the best thing about travelling with full access to the DISH Network was the seamless Netflix integration which, as far as I’ve heard, is unmatched among other providers. It was a real pleasure setting it up, since there was no need to change inputs or to use additional equipment. A few other notable features that I personally loved were the premium channels – including HBO, Showtime and Cinemax – as well as the extra sports channels. I can even imagine us using these new DISH features in the future as we vacation in in Airbnb properties and hotels. Also, with the boys always leaving the remote control in odd places, the handy remote finder feature on the Hopper is another thing I really like about DISH’s new technology. All in all, I look forward to seeing how DISH and the Hopper DVRs perform in the next few months. For now, all I can say is that I am pleasantly surprised with everything. Being a parent isn’t always easy, but now enjoying TV anywhere we go is now one less thing to think about. Even better, now through July 30th 2017, DISH is offering new customers their choice between 3 awesome promotions: Free TV Mounting (use code MOUNT4753), a free Polk soundbar (DISHSOUND967), or free Bluetooth headphones (BTOFFER852). If you want to try DISH Anywhere and Hopper GO for yourself, call 877-582-9391 (in the US).